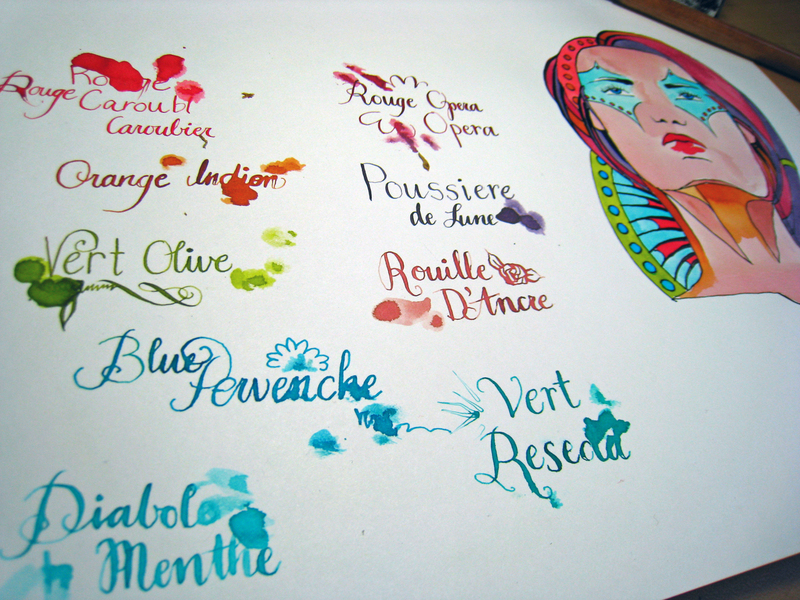 Ohh, I realized the color! 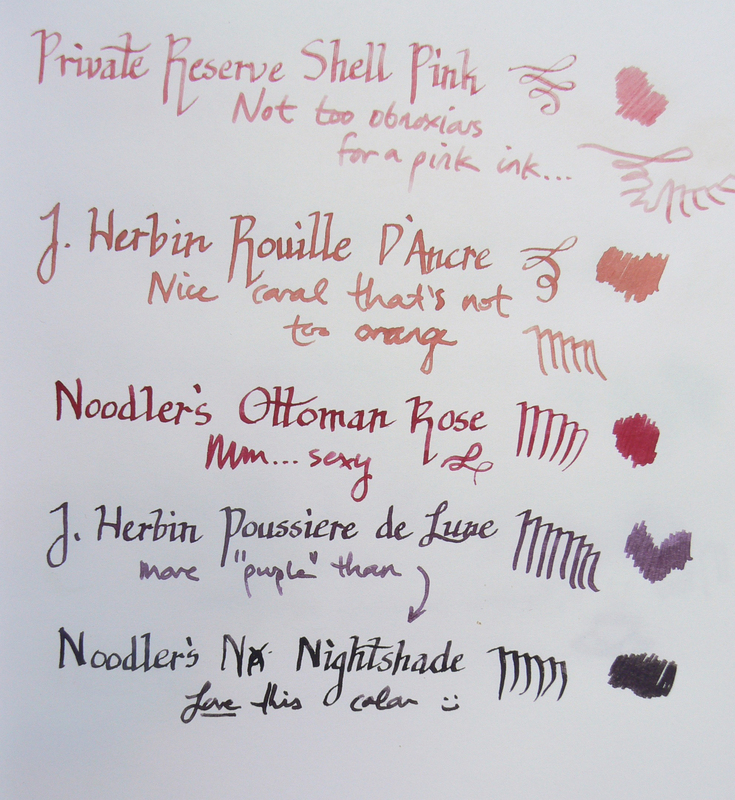 J. Herbin’s Rouge Opera is the color of those plush velvet seats in old theaters. 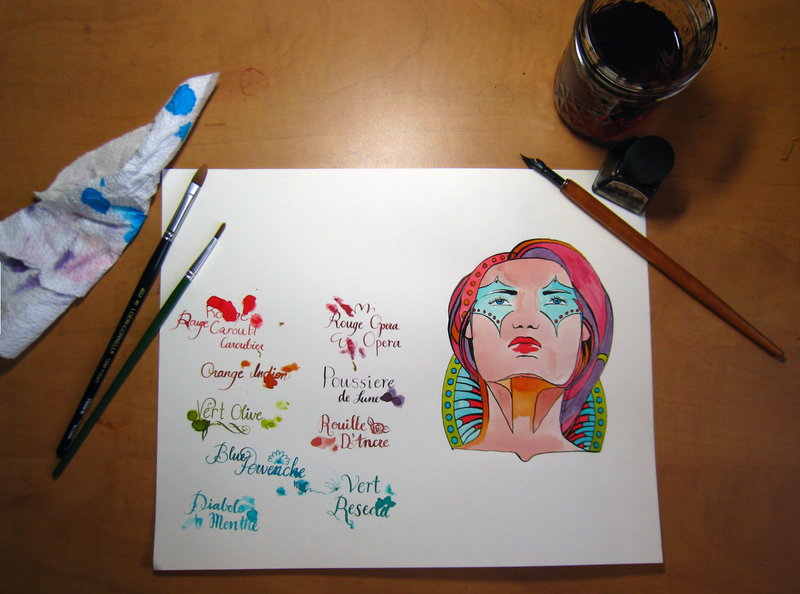 Or, a less intense version of various scenes in Moulin Rouge. So, that makes sense. 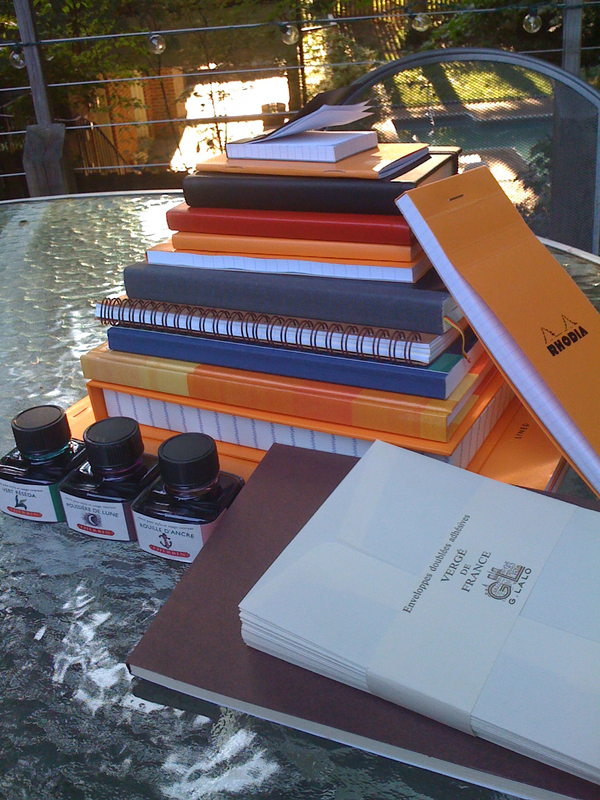 So, I received this from the ever-generous Karen Doherty through the Quo Vadis blog’s Bastille Day Giveaway. 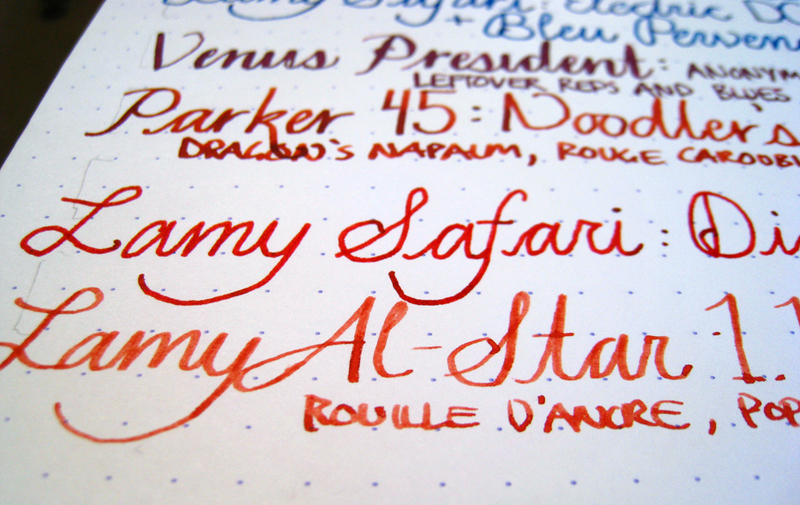 I tried this ink in three different pens: a Lamy Safari with a F nib, a Lamy Al-Star with a 1.1 italic nib, and a Pilot Prera with a F nib, which is the equivalent of an XF nib in the U.S. 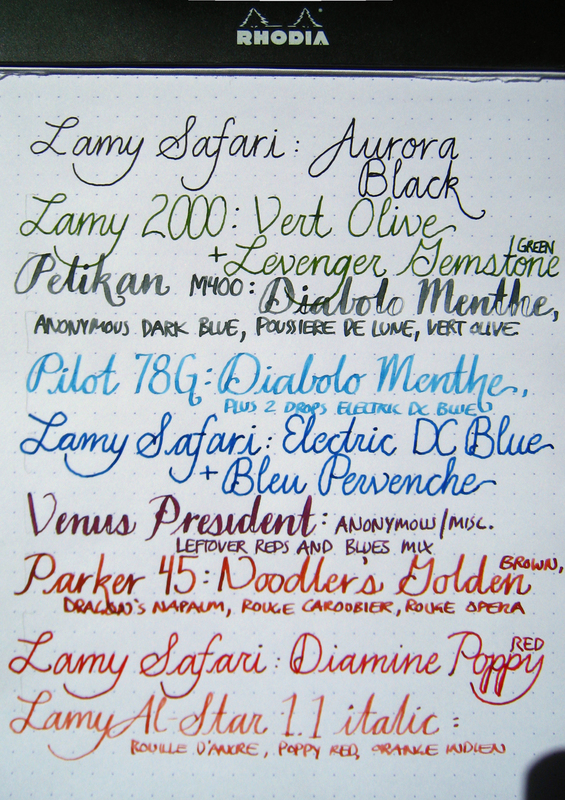 I read a review of this ink that said it looked better in a fine nib, so I figured I’d cover all the areas. 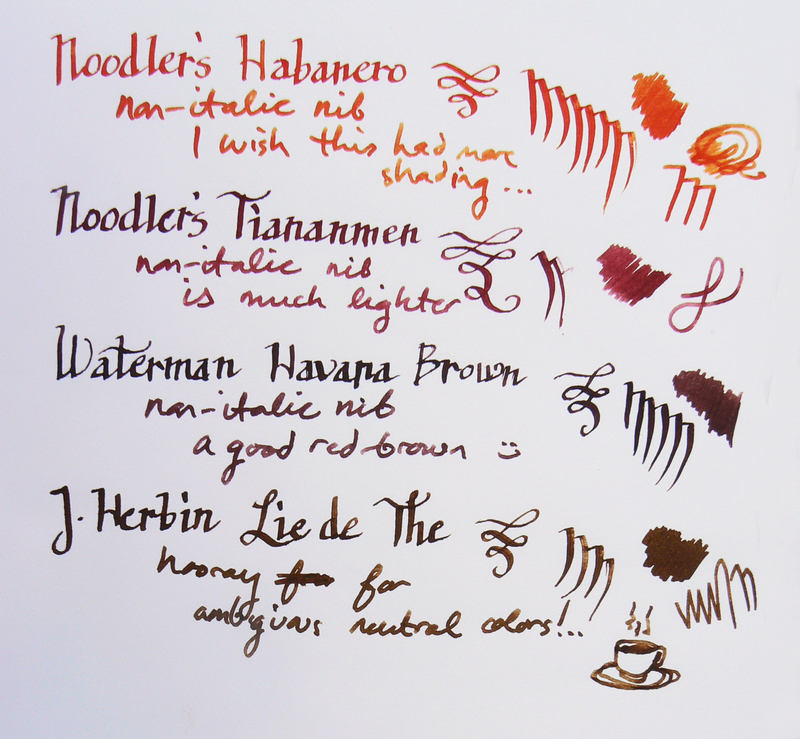 This ink is not very saturated, which is a general trend with J. Herbin inks. 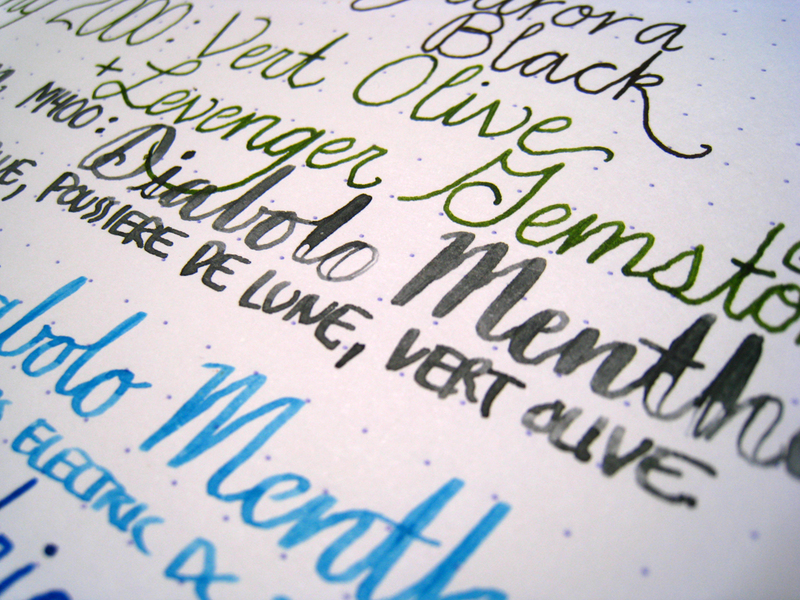 As a result, I tend to like their colors that are intentionally light, like Diabolo Menthe, and disappointed by their deeper colors… like this one. 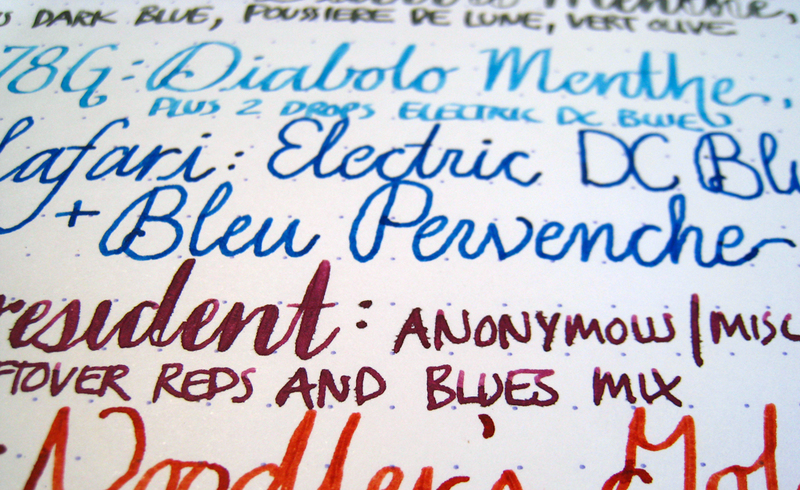 But it does have a bit of nice shading in the italic and the F nibs. 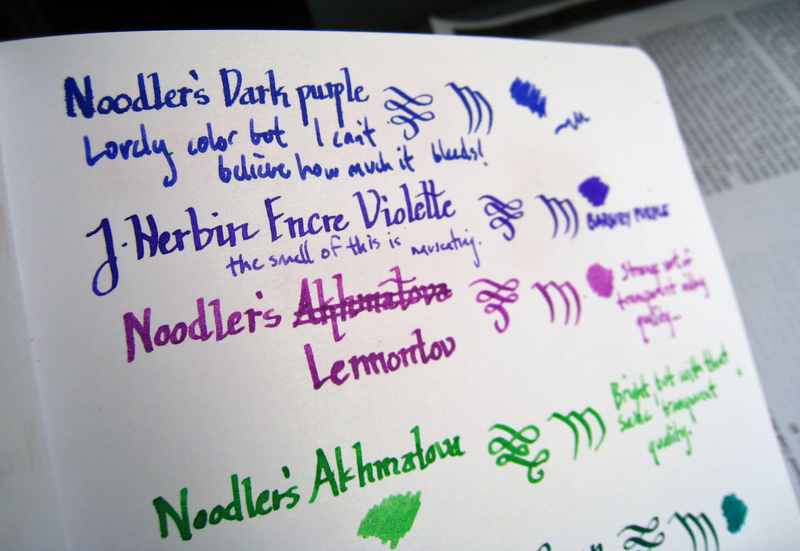 In the Pilot XF nib, the ink was much too washed out and became a sort of dusty floral color. 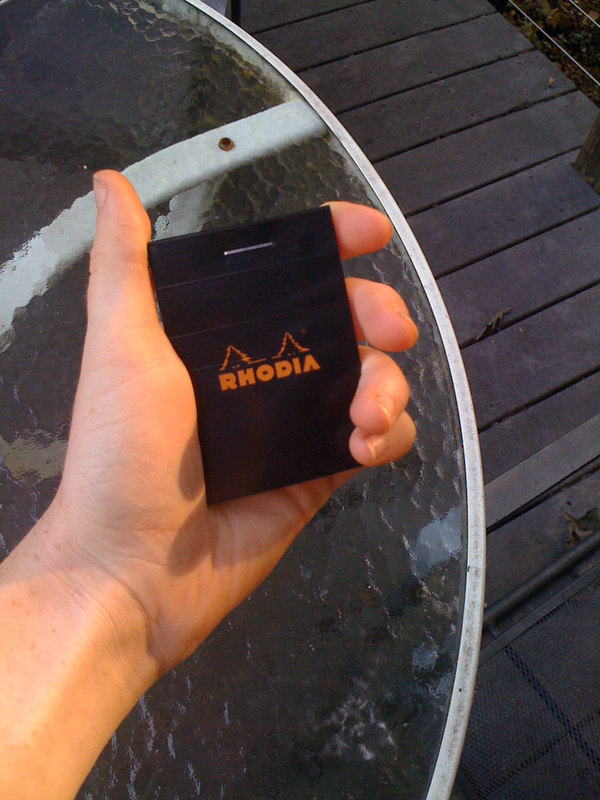 This photo makes it look a bit more saturated than it is in real life– it’s not nearly so neon. 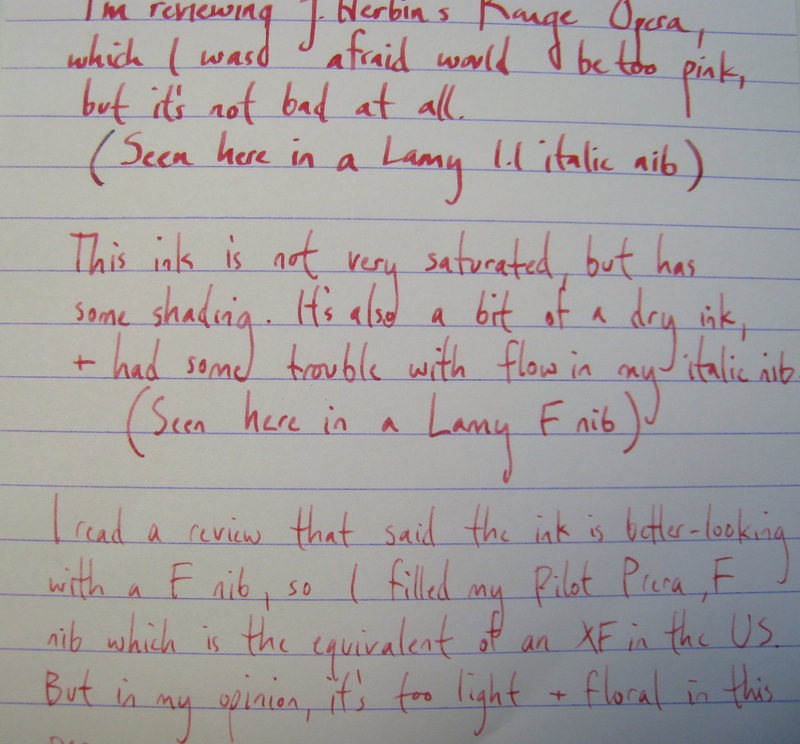 Some inks look sort of cool when they’re washed out, but in this case it just looks too pink. 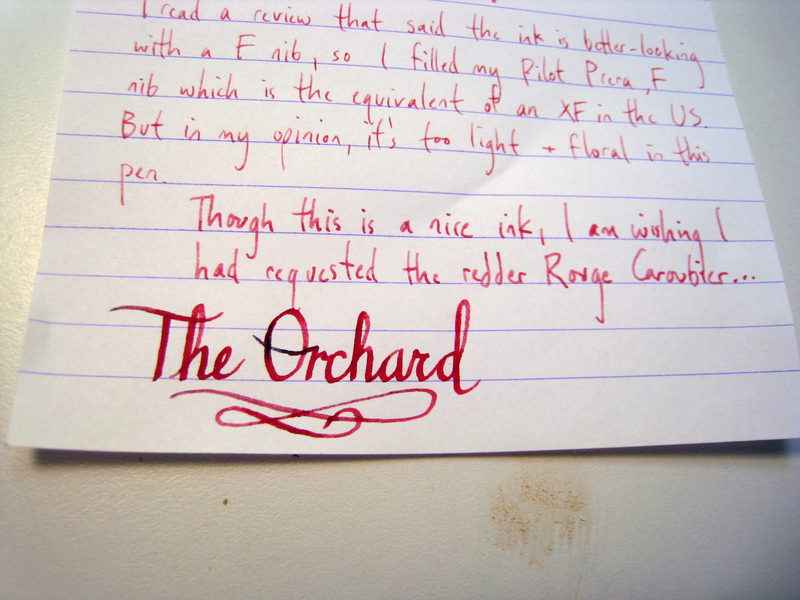 And, um, I don’t dig pink ink. 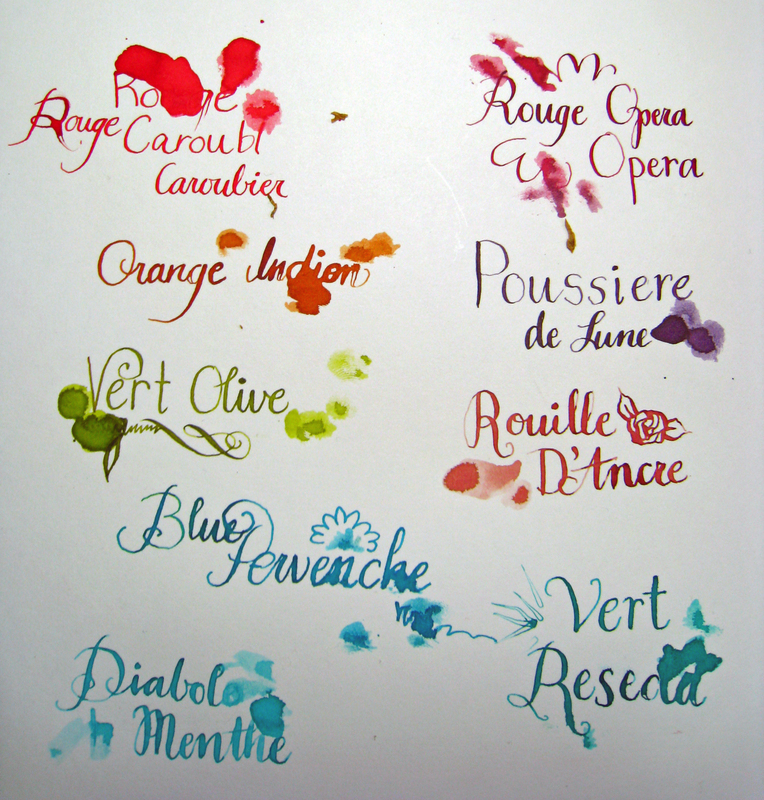 I’ll bet that it would look a bit better on cream or ivory paper, instead of the bright white. 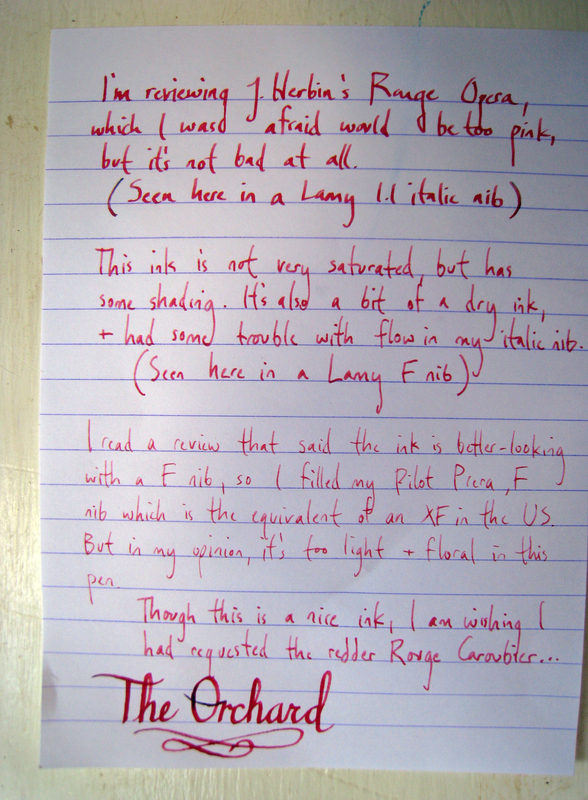 Perhaps using a wider italic nib than the 1.1 would also serve this ink well. 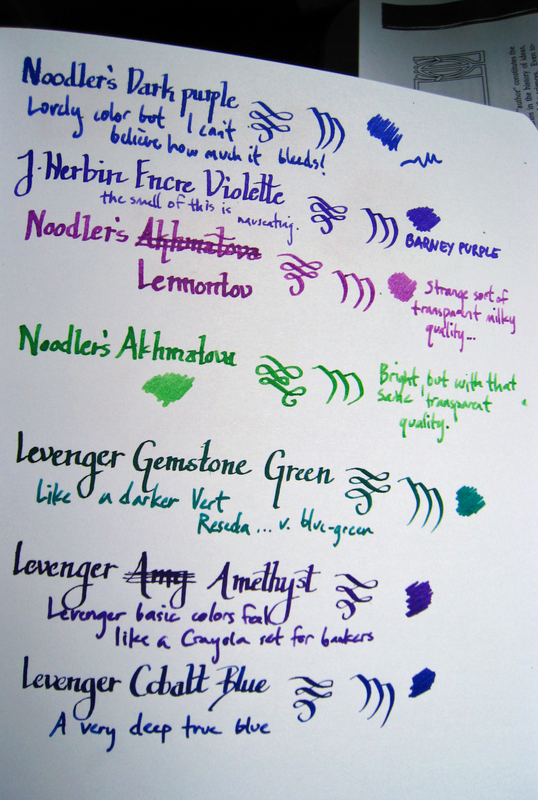 Biffybeans reviewed this ink, and it looks much more purple than mine, especially on the ivory paper. 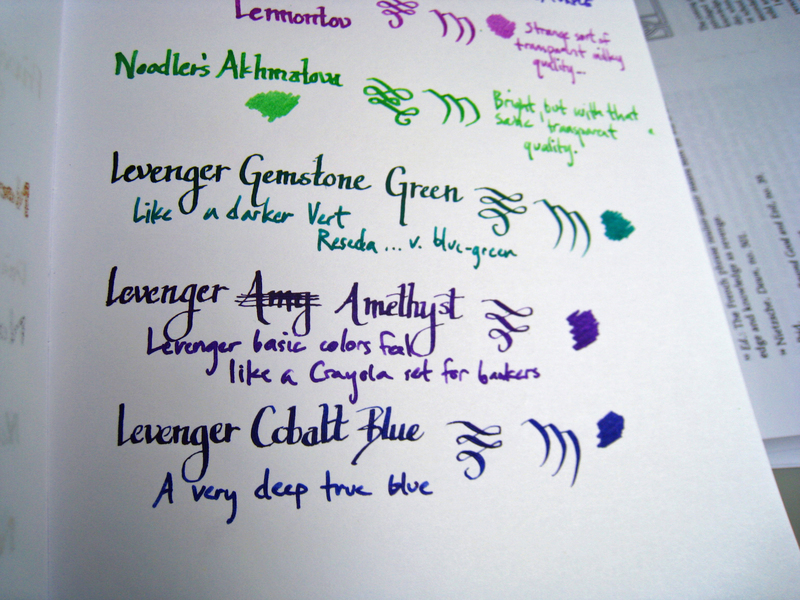 This ink also had a dry start when I first tried it in with the italic nib. 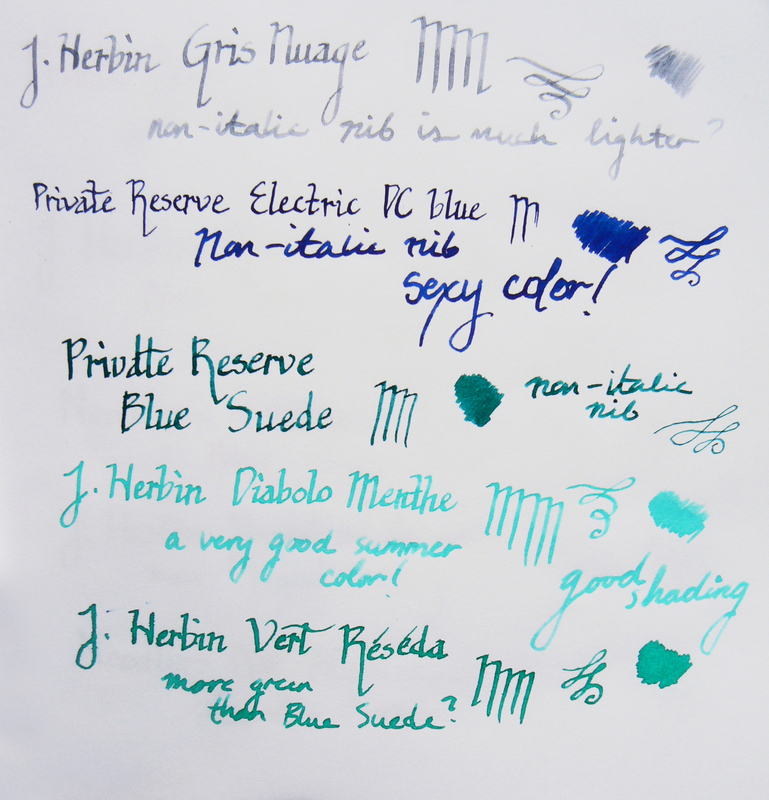 Which might have been a fluke, because other J. Herbin inks have worked just fine in that pen. 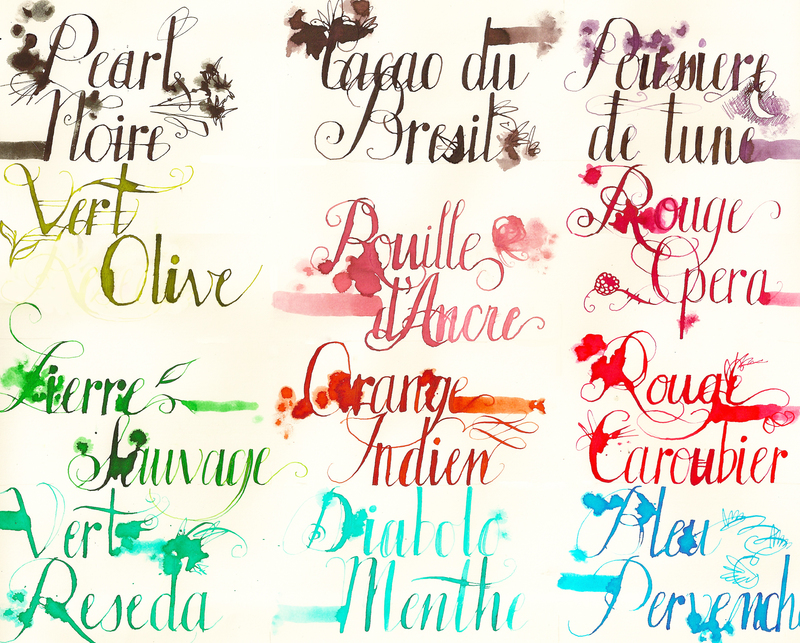 I think I should have requested Rouge Caroubier, which is supposedly a bit more of an orange-red instead of a pink-red. 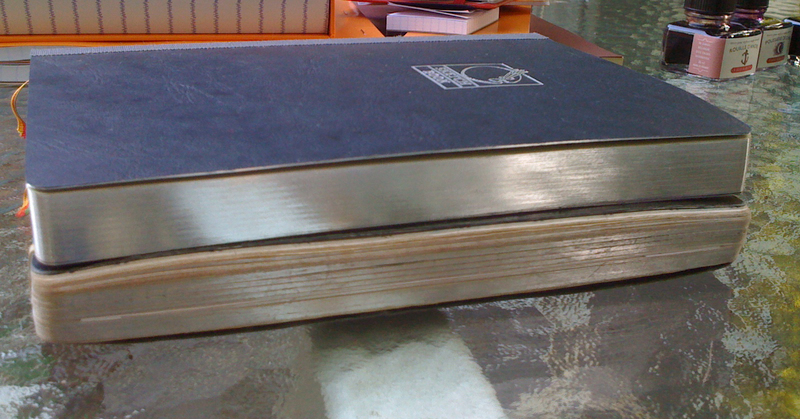 Ah, well!